Treat Yourself on Valentines Day. You'll probably notice there's a theme to my posts this week - I've got lots of Valentines gift ideas from big to small but if you don't have a valentine this year, don't miss out - just treat yourself. 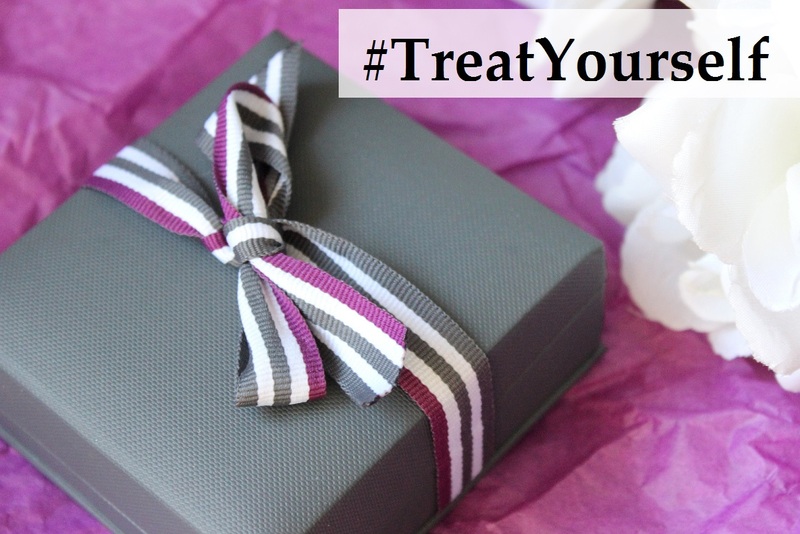 Beaverbrooks have launched their #TreatYourself campaign and picked lots of lovely Valentines themed gifts for under £50 here. I've been trying to build a collection of good jewellery recently - I suppose the constant repurchasing of cheap jewellery has started to wear a bit thin. I fell in love with this bi-metal infinity necklace* straight away - two tone jewellery is really in at the moment and I love rose gold and silver together. The chain on this necklace is quite short, so it sits really nicely against the skin and goes with any neckline of top of you're wearing. A few other favourites from the campaign are these pearl stud earrings and this rose gold plated heart necklace. Both would be perfect every day pieces - I've got my eye on this watch too although it needs a bit more saving up for, and judging by my saving skills recently, I'd probably be better off putting it on my Christmas list. You can see all the Valentines picks for under £50 here. Which one would you pick for Valentines day? p.s Enter my Valentines Giveaway to win this Marc Jacobs perfume! 10 comments on "Treat Yourself on Valentines Day. " What a gorgeous little gift! This is one of those necklaces I'd never take off! This is so pretty. I've really started getting into simple short necklaces recently. aw that is gorgeous, I only ever wear one necklace and that's my Tiffany one but I reckon I could be persuaded to something like this!